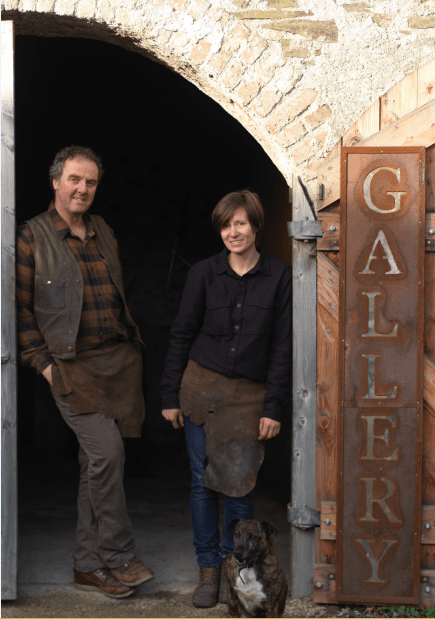 Husband and wife team Michael Calnan and Gunvor Anhøj have forged a small business with a big reputation from iron, steel, bronze and copper. Margaret O’Brien, The Sunday Business Post Magazine. Imagination is the beginning of creation. You imagine what you desire, you will what you imagine and at last you create what you will. George Bernard Shaw. We are award-winning sculptors of metals, our current studio is based in the beautiful demesne of Russborough House, Co. Wicklow, Ireland. 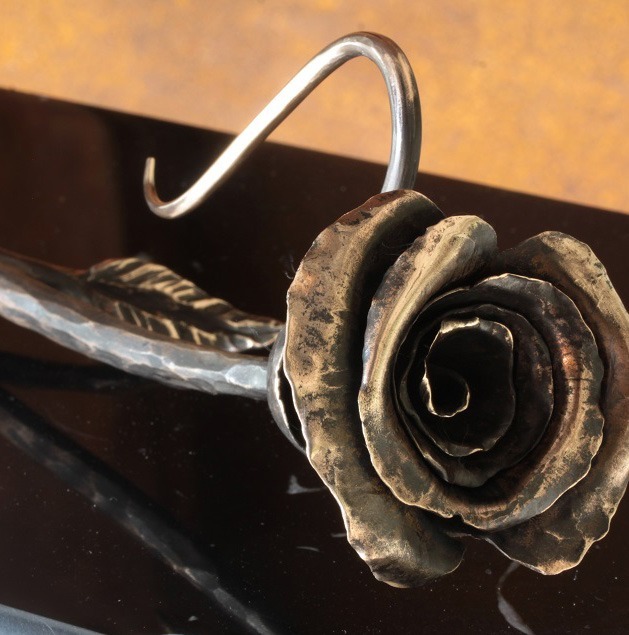 We have a collection of indoor and outdoor sculpture on display at our atmospheric Forge and Gallery which is open to visits all year round by prior appointment. 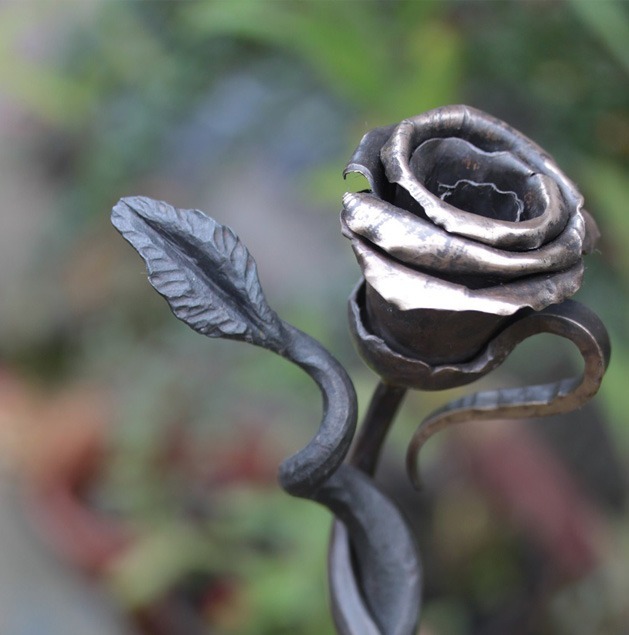 Our speciality is forged bronze and forged Corten Steel sculpture for the garden. Michael sees the world like no other person I know. If you were born wearing creative glasses Michael is wearing his upside down! In the final year of Art College his exam piece involved just two components, each weighing over a 100 kg, cantilevering off each other in a seemingly impossible and strikingly pure composition. Pulling something like this off takes courage. There is always more to a piece than meets the eye, so to fully absorb Michael’s work you must take your time and walk around it; watch how the use of subtle curves versus straight lines produce surprising results. 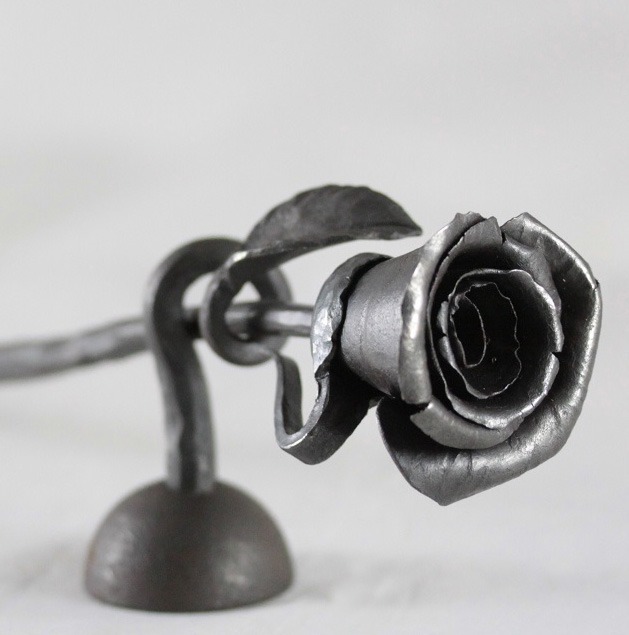 His pieces emanate a degree of simplicity and elegance irrespective of mass and size of material. 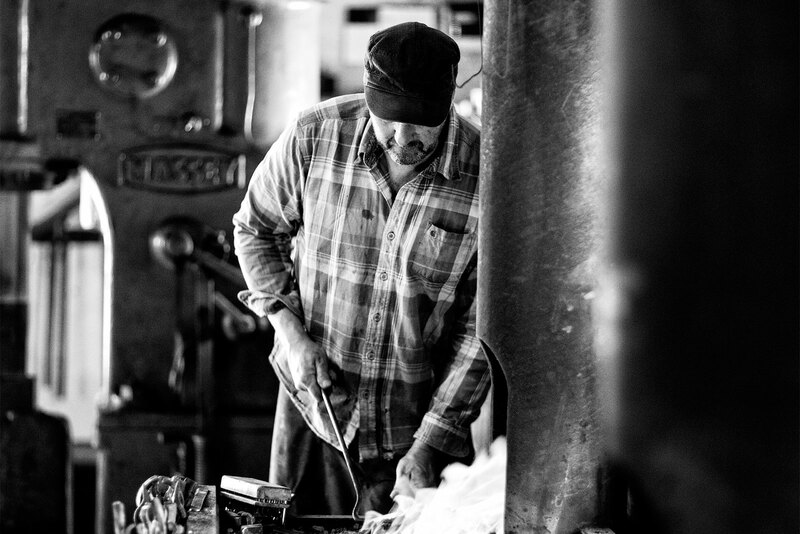 Michael also has amazing attention to detail and is highly regarded in his field, having been invited to judge the National Irish Craft Awards in 2014 & 15. Gunvor hails from a family of engineers and priests so perhaps it is no surprise she ended up a sculptor. Her first memory of metal was it’s distinct smell visiting her granddad’s workshop on the West Coast of Denmark. Her first meeting with iron as a tool, was when required to plough the fields the old way with horses and a one-furrow plough. Gunvor composes her sculptures using a minimal amount of components which she assembles in a way that suggest a childish or informal creation. Her work is dramatic yet playful. 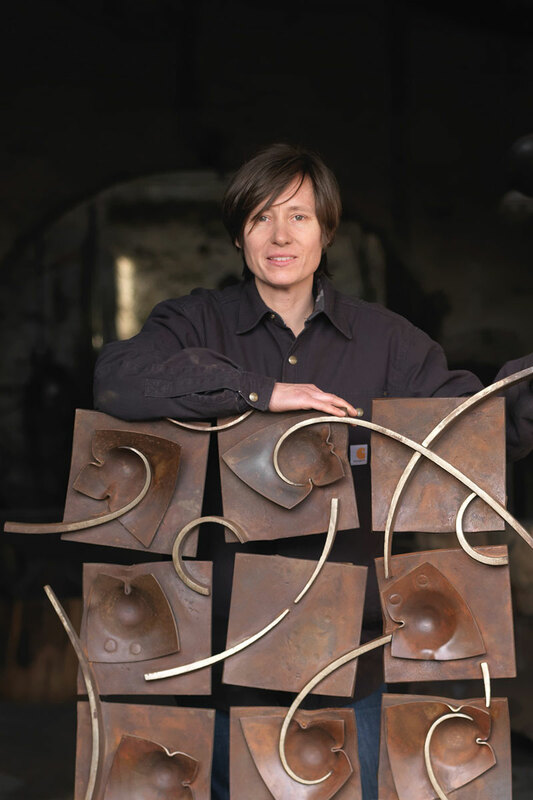 To retain a sense of the human touch – which can be otherwise absent in large scale metal sculpture – Gunvor purposely leaves her maker’s marks in the form of heavy surface texture.